1 What is Lyme disease? 2 Where does Lyme disease commonly occur? 3 What are the symptoms of Lyme disease? 5 Is there a vaccine? 6 What can I do to prevent Lyme disease? Lyme disease is a bacterial disease. It is caused when a tick latches onto you skin and transmits bacteria (B. burgdorferi). The ticks commonly live on other animals such as deer, mice, squirrels, or shrews before latching onto a human host. 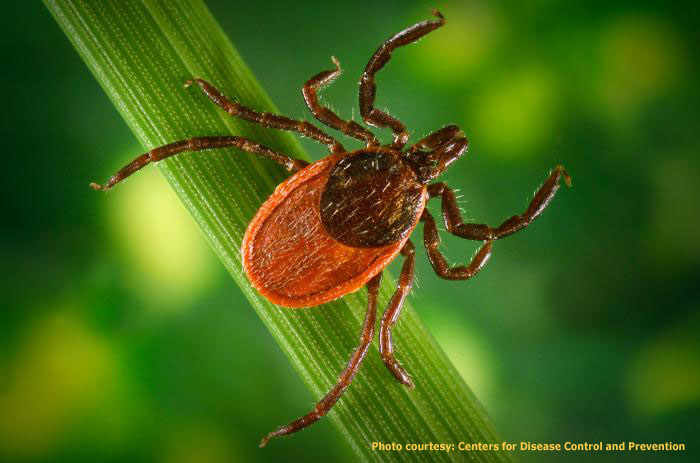 For the disease to be transmitted the tick must attach for 36-48 hours and symptoms take 3-30 days to appear. In the past decade, there have been 251,720 cases confirmed by the Centers for Disease Control and Prevention in the United States. The disease is mostly found in children ages 5-14. Where does Lyme disease commonly occur? In the United States, Lyme disease is primarily limited to states such as Connecticut, Delaware, Massachusetts, Maryland, Minnesota, New Jersey, New York, Pennsylvania, Rhode Island, and Wisconsin. Symptoms appear as a fever, headache, fatigue, or a bulls-eye looking skin rash. If left untreated, Lyme disease can lead to heart conditions, neurological disorders (such as numbness, paralysis of facial muscles) or inflammatory disorders (arthritis). The primary form of treatment is by administering antibiotics (such as penicillin) and fatalities as a result of this disease are rare. Although there have been several vaccines for Lyme disease created, there are no vaccines currently available to the public. Because the ticks which transmit Lyme disease commonly live in wooded areas with lots of bushes and long grass, when you are in such areas, you can take precautions such as wearing clothes that cover your entire body (long-sleeved shirt, long pants) and wearing insect repellent. Also, monitoring and checking your body for ticks is another method as the disease is slow transmitting.